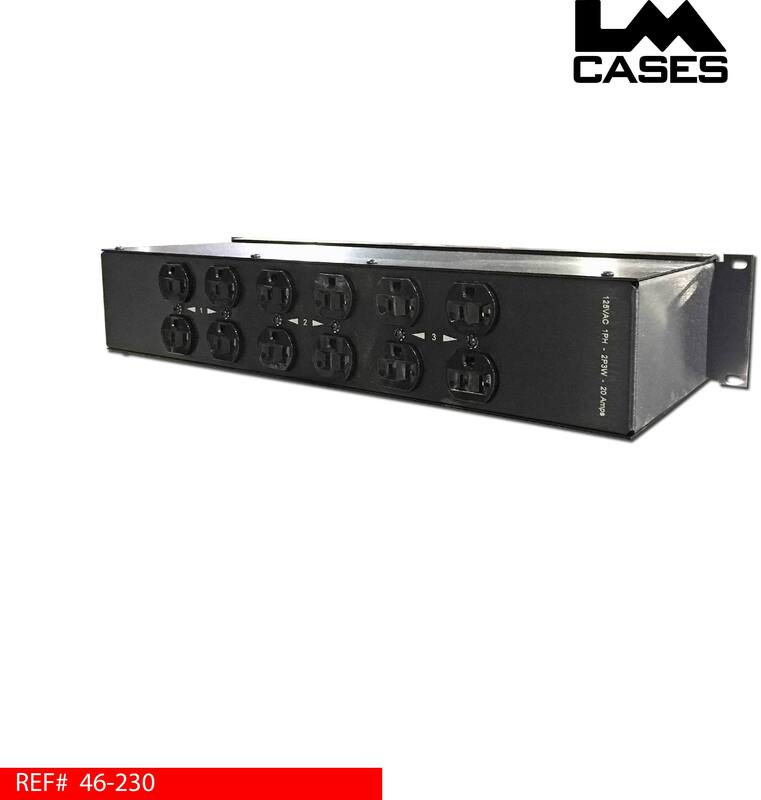 This power distro box is designed take 3 – 30 amp circuits and distribute to rear mounted outlets. 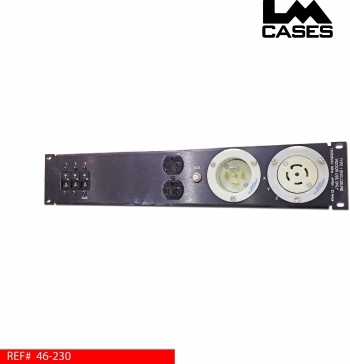 The 3 incoming circuits fed from the front mounted L14-30 inlet are protected by magnetic breakers and fed to 4 rear mounted outlets per circuit. A courtesy front mounted duplex is fed via the Z circuit and protected by a 15-amp breaker to prevent over draw from auxiliary sources. A front mounted L14-30 outlet is also provided for linking.